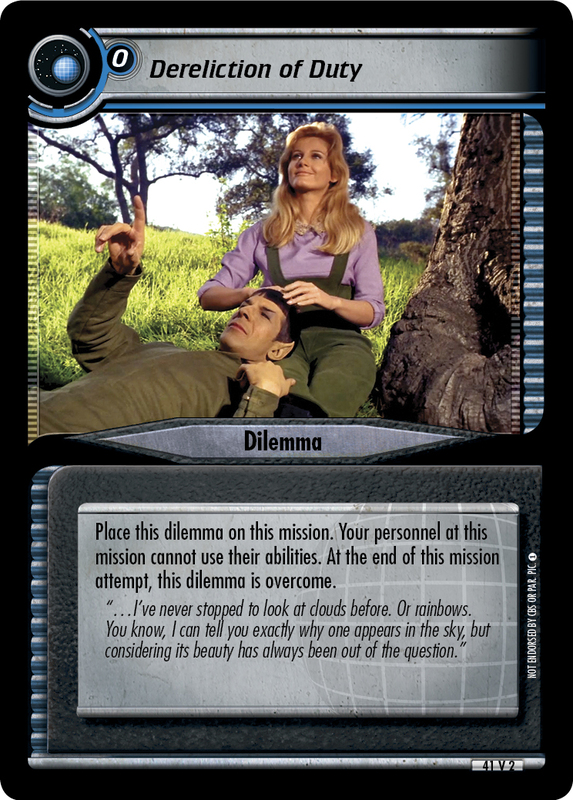 This dilemma is cost -1 for each Genetically Enhanced personnel this dilemma's owner commands. 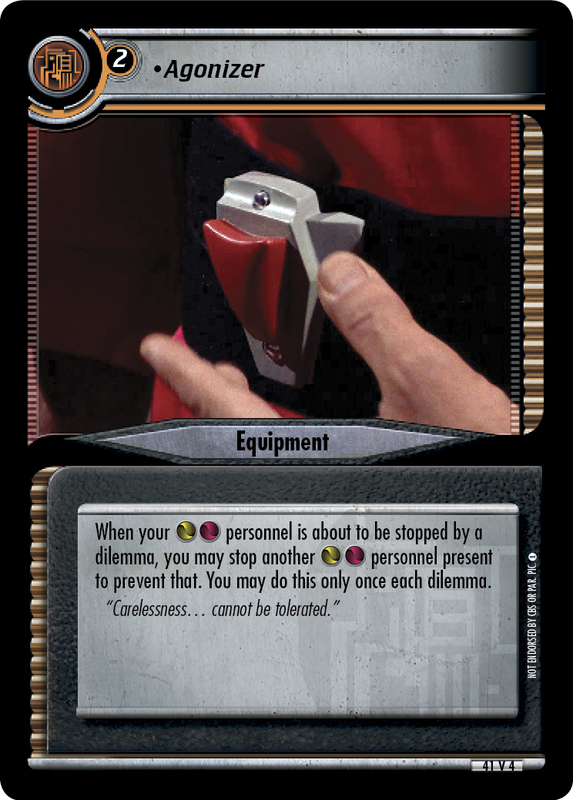 Unless you have 3 Security and Strength>40 or 2 Telepathy and Cunning>40, randomly select two personnel. 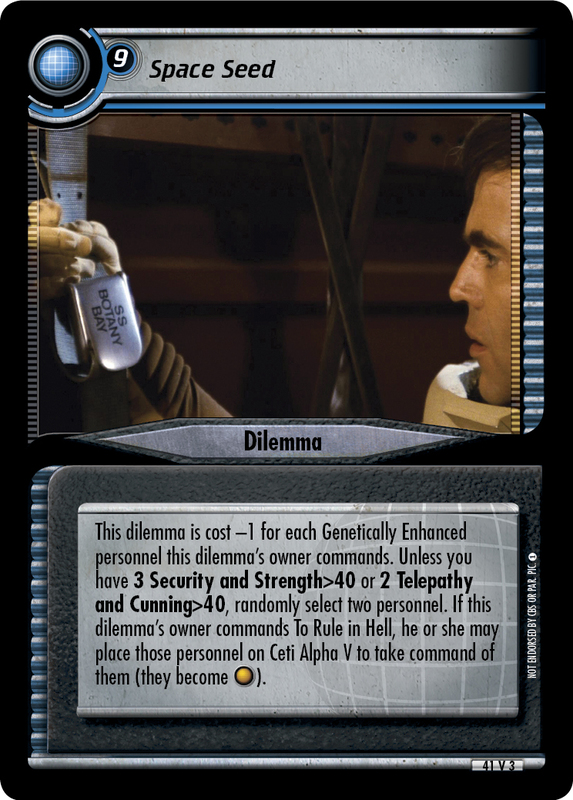 If this dilemma's owner commands To Rule in Hell, he or she may place those personnel on Ceti Alpha V to take command of them (they become ).